Charles Doolittle’s sons from his first marriage, Alfred and Eric, were Hilda Doolittle’s half-brothers. 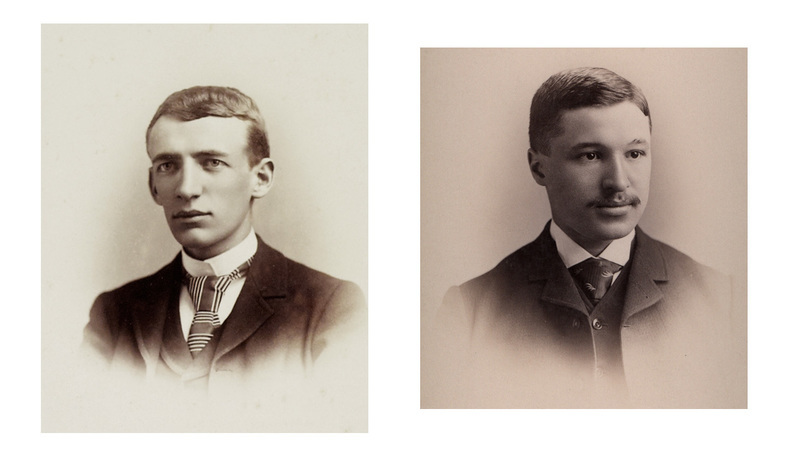 Both graduated from Lehigh University, Alfred in 1889 and Eric in 1891. These are their senior photos resting atop Eric’s graduating class album, which also contains faculty photos of Charles Doolittle, William Chandler, Henry Coppée, and Lehigh President Robert Lamberton. Eric was an important figure in young Hilda’s life. Her memoirs contain fond recollections of the older sibling who nurtured her intellectual and artistic development. Where Hilda’s father failed in his efforts to instruct her in math, her beloved brother succeeded. Eric also gave her novels by Charlotte Brontë and Louisa May Alcott. These books provided important models of female authorship to a young girl who craved affirmations of women’s creative capacities.